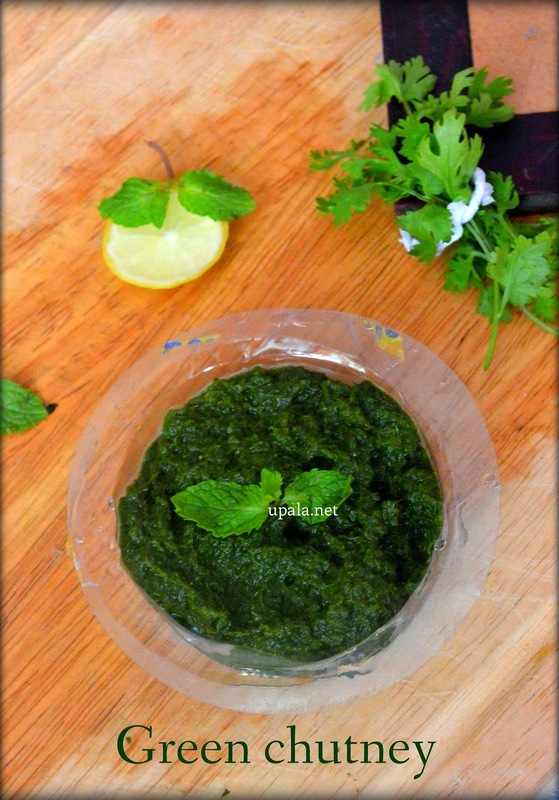 Green chutney is a flavourful Mint coriander chutney that goes well for chaats and Sandwich spreads. 1) Wash and clean the Mint leaves and Coriander leaves. Leave them to dry for sometime. 2) Grind them to smooth paste along with Ginger and Green chillies. 3) Add Salt, Sugar and give one pulse. 4) Finally add Lemon juice and mix well. 1) Lemon juice is added to retain the nice green colour. 2) You can also grind 1/2 onion along with greens. 3) Refrigeration comes for a week's time. Frozen chutney comes for weeks.